UPDATE: Due to rain in the forecast, The Link Market demonstration scheduled this afternoon at the Wellston Transit Center from 2 p.m. to 4:30 p.m. is cancelled. We’re working to reschedule for a later date. A nutritionist from the University of Missouri Extension will demonstrate how to prepare a tasty meal on a tight budget using ingredients at two Metro Transit locations this Thursday and Friday. The food demonstrations are part of the Link Market food kiosk program’s focus on nutrition and healthy eating. Weather permitting, the demonstrations will take place from 2 p.m. to 4:30 p.m. on March 22 at the North Hanley Transit Center. The cooking demonstrations offer riders, nearby residents and others ideas on how to use fresh, healthy ingredients to prepare and cook nutritious dishes using fruits, vegetables and other foods available for purchase at the Link Market. This month, nutritionists will prepare one-pot spaghetti, and free samples will be available. 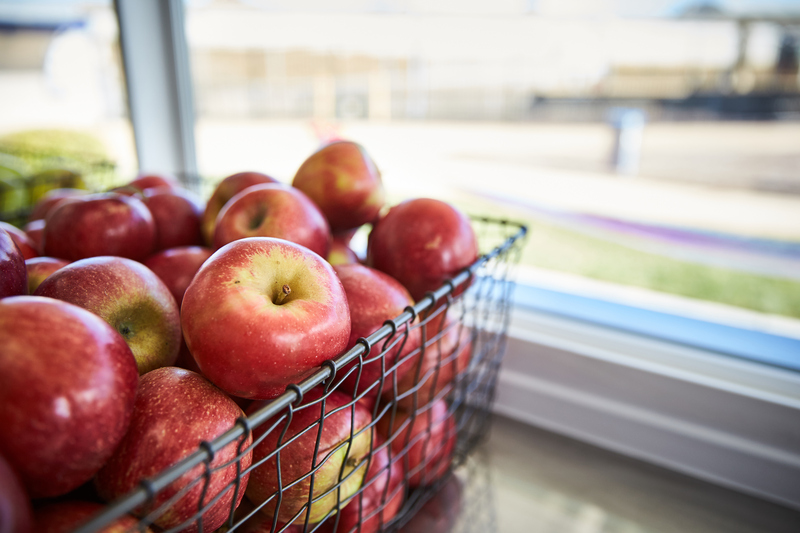 The Link Market food kiosk pilot program is the result of a partnership between the Bi-State Development Research Institute, Metro Transit and the Missouri Foundation for Health, which is funding the program through a grant. The food kiosks offer affordably priced fresh produce and other healthy household staples for purchase. The Link Markets are open Monday through Friday from 9 a.m. to 5 p.m. Cash, credit and EBT are accepted. Check out past recipes from previous food demonstrations, as well as more information about the Link Market.